indy and I invite you to partner with us in reaching the hopeless, hungry people of Africa with the love of Jesus. Our vision and passion is to bless what the Father is already doing. To help the hopeless in anyway we can. To help Equip a new breed of leader's with a servants heart. To help raise up authentic Christians among the neglected people of Malawi, Africa. Cindy and I are on a journey of raising monthly support to help accomplish this vision. Please pray and ask God if your to join our team bringing hope to the poor. 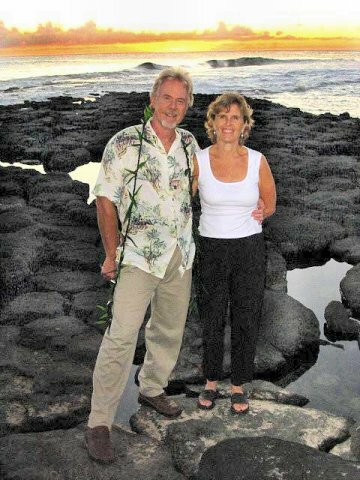 You can receive a tax deductible receipt by making your check out to Kapaa Missionary Church attaching a post-it or note saying it is for LeRoy & Cindy Metzger. Do not write our name on check, only in memo write, Africa. You can give through PayPal by simply clicking the PayPal button below. PayPal can be used to send and receive payments through the Internet. Once you sign up for PayPal, you can send money to anyone with an email address using money from your PayPal balance or another funding option of your choice, such as a credit card, debit card, or your bank account. Recipients are then notified via email that they have received a payment from you.